Rural Rhythm Records and Cody Shuler have enjoyed a successful association since 2008 when the Dove nominated gospel album Pickin’, Praisin’ & Singin’ was released and debuted #3 on the Billboard Bluegrass Album Chart. At 15, Cody Shuler began playing mandolin for banjo master Raymond Fairchild before joining Pine Mountain Railroad in 2006 and lead them to several highly successful albums including “Alone with Forever” followed by “Pickin’, Praisin’, & Singin’ “and the self-titled album “Cody Shuler & Pine Mountain Railroad”. Now at 29, Cody Shuler is releasing his very first solo album full of his original compositions on February 3rd. Cody Shuler has written or co-written a multitude of hit songs over the years in the Bluegrass and Gospel music genres including; “Clementine”, “Cindy Mae”, “My Eyes Shall Be On Cannan’s Land”, “Do You Wrong Kind Of Girl” and the Grammy nominated song “Big River” performed by Daily & Vincent. Many of these hit songs have reached the top of the Bluegrass Today and Bluegrass Junction – SiriusXM radio charts. Cody has written a strong group of original songs and the time is right for him to release these special songs on his first solo album self-titled “Cody Shuler”, releasing on February 3rd. The album showcases the singer / songwriting talents of Shuler and feature some of the top musicians in the Bluegrass community, with an all-star lineup that includes some former members of Pine Mountain Railroad; Terry Baucom, Scott Vestal, Ron Stewart, Tim Crouch, Rob Ickes, Eli Johnston, Brent Lamons and Scott Linton. Produced by Cody Shuler, his solo album contains 12 songs that tell stories from hobo to heartbreak or tragedy to hope. The album takes you on a journey through love, loss, and life. “My Home Is On This Ole Boxcar” is the first single from the album which takes you back to another place in time to when trains were the fastest way to run from something, come home, or just ride. Other song highlights from the album includes “Listen to the Hammer Ring”, a song about a prison camp inmate in Georgia in the 40’s with an amazing story to tell and “The Day Love Was Nailed To a Tree”,based on the story of Jesus being sentenced to death as the multitudes listening to him speak showing the ultimate of his love. Available now is the promotional album video with Cody Shuler describing the songs and performances from his first solo album along with special highlights from the album (see link below). Also in the works is a complete promotional video Track-By-Track of the album which will be available soon. The album “Cody Shuler” is now available for D.J. downloads on AirPlay Direct. The album will be available on iTunes, Amazon and wherever bluegrass music is sold. Cody has owned and managed the band Pine Mountain Railroad since 2006. He has played some of the biggest stages in Bluegrass and Gospel music including, The Grand Ole Opry, Merlefest, The National Quartet Convention and many, many more. 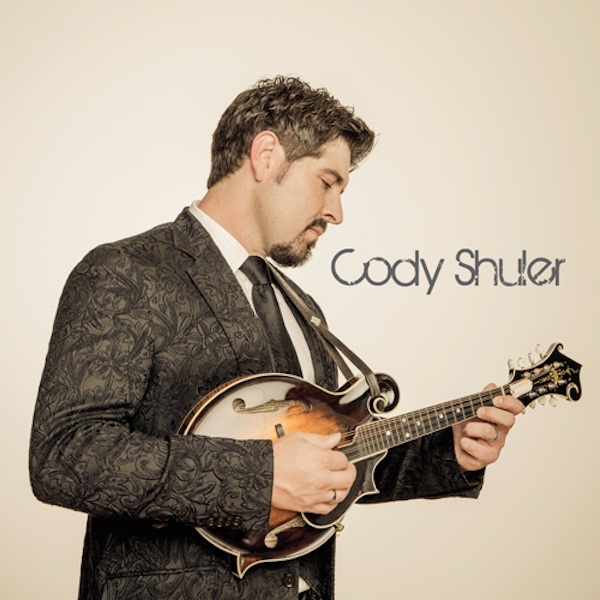 Cody Shuler will be touring heavily in 2015 with Cody Shuler & Pine Mountain Railroad to promote his new solo album. Visit www.codyshuler.com for a complete list of tour dates.